NO. 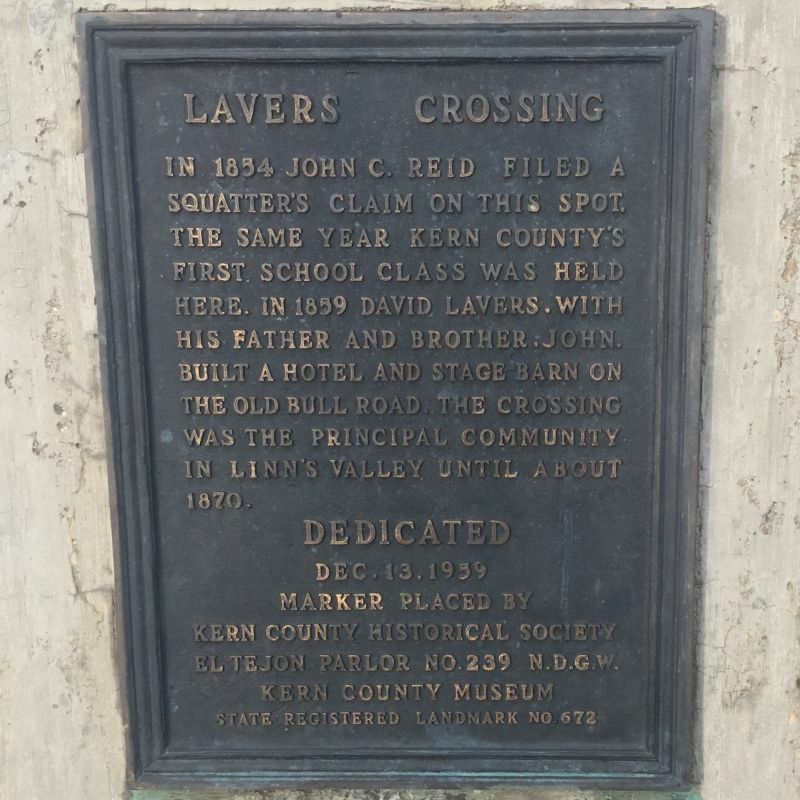 672 LAVERS CROSSING - In 1854, John C. Reid filed a squatter's claim on this spot - the same year Kern County's first school class was held here. 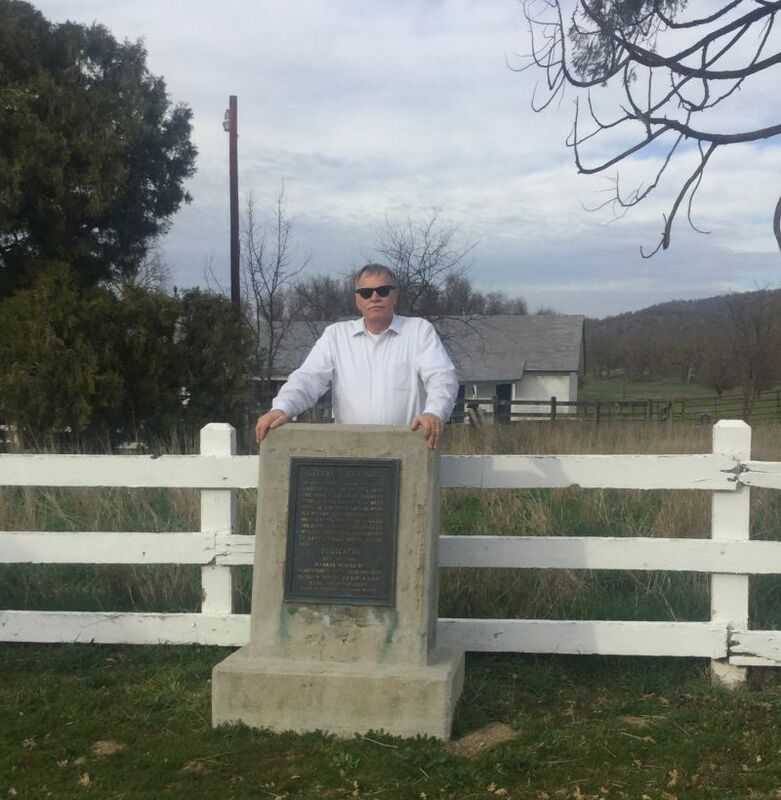 In 1859, David Lavers, with his father and brother, John, built a hotel and stage barn on the old Bull Road. The crossing was the principal community in Linn's Valley until about 1870.